Isabella is struggling to keep afloat in her marriage. She's doing everything she can to make it work, but it never seems to be enough. She has a quiet strength lingering beneath the surface, she just needs someone to release it. Isabella's best friend Liz, is wild, happy and carefree. She's suffered in the past and now she's looking out for her. She's finally getting to a place where she feels comfortable with herself again. Now she just needs to embrace it and stay there. Two best friends who support each other until the very end. Will they make it through with their hearts in tact? Or will life as they know it forever change. 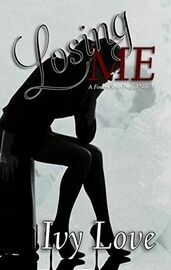 Don't miss out on Losing Me, book 0.5 in the Finders Series.